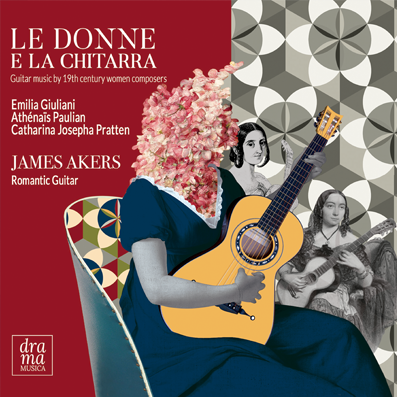 "Bravo to the prolific Scottish guitarist James “Jaime” Akers for shining a light on three 19th century women composers on his fantastic new album... It’s a thoroughly delightful album from top to bottom, very much a 19th century recital. Highly recommended!" "I listened to extracts from his Le Donne et la Chitarra CD later and was struck by the colour and expression he brought to each work. Highly recommended."